These brand new earphones from DURAGADGET are the perfect accessory for a range of portable media devices supporting a 3.5mm jack plug. The sky blue finish and simple design of the range will add style to your day, with silicone earpads for a customized fit to different users. A perfect fitting earbud means improved passive noise cancellation for exclusion of irritating background noise. Also features an in-line mic and remote allowing you to switch between listening to music and answering calls in a simple press of a button, as well as controls such as play, pause, skip (if supported by the device) for easy, on the go use. N.B. 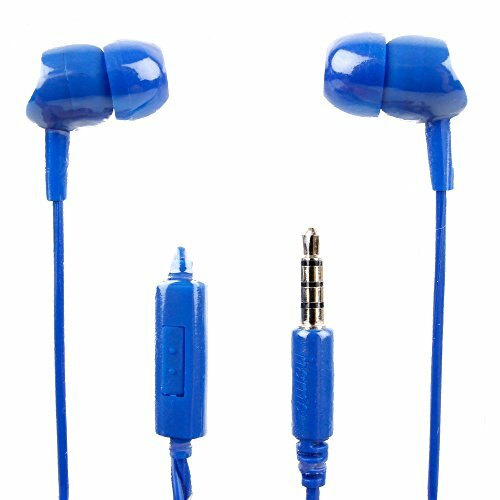 Please note that this purchase of this item is for Earphones only and does not include any device that may have been shown in corresponding images.